This property is in an outstanding extremely visible location. 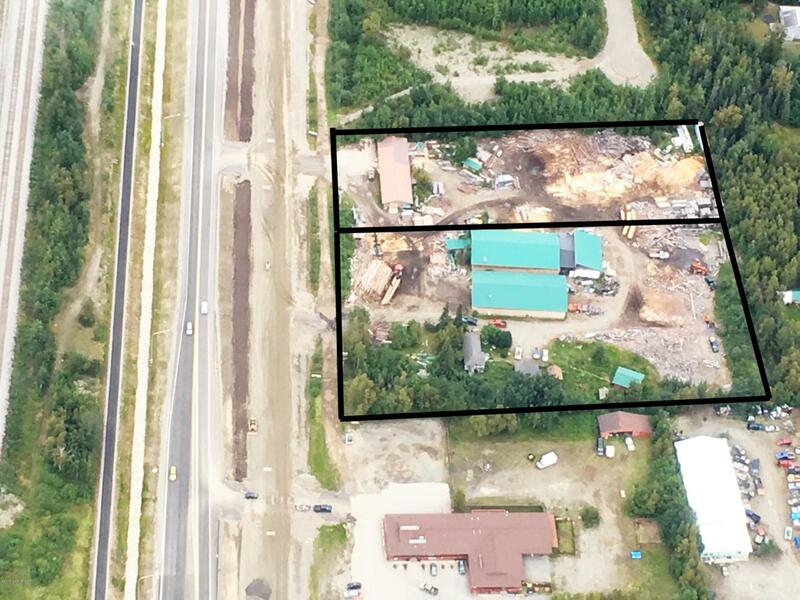 It is on 4.313 acres with 418' of frontage on the newly expanded Parks Hwy. It is just outside of the city limits of Wasilla. It has two 5000'sf buildings, one 3000'sf building and two homes. Bring all offers Seller is Very Motivated. The property/business can be bought, in its entirety, (Land, Buildings, for the $850.000 or it can be split up. The owner is willing to sell all the Equipment & Inventory) for an extra $300,000 or Lot 1 with the buildings and homes for $750,000 or Lot 2 with the building for $375K . This is an excellent opportunity to get into the milling business or repurpose this property. This opportunity awaits a new owner or owners with a new vision for a remarkable business on a valuable and fantastic location. This opportunity won't last long. Call for an Appointment today!